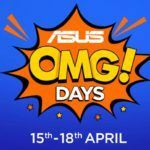 With the launch of the Zenfone Max Pro M2, ASUS is aiming to take over the budget smartphone scene. It offers significant upgrades over its predecessor, the Zenfone Max Pro M1 (review), which was quite impressive in its own regard. With the competition heating up with comparable offerings such as the Realme 2 Pro and Nokia 6.1 Plus (review), does the Zenfone Max Pro M2 have what it takes to survive? Today, we shall be comparing all important aspects of these three smartphones in the attempt to answer this very question. There are three storage variants of the Zenfone Max Pro M2. The base configuration with 3GB RAM+32GB storage costs INR 12,999. An upgrade to 4GB RAM+64GB storage will costs INR 14,999, with the top-end 6GB RAM+64GB storage variant coming in at INR 16,999. Then we have the Realme 2 Pro which starts off with its 4GB RAM+ 64GB storage base variant which is priced at INR 13,990. Its 6GB RAM+ 64GB is priced at INR 15,990. You can even go up to 8GB RAM with 128GB of storage for INR 17,990. Lastly, we have the Nokia 6.1 Plus which has a single storage configuration of 4GB RAM + 64GB storage. This retails for INR 15,999. All three phones in this comparison offer attractive glossy back panel designs that look and feel premium. All three devices offer notched LCD screen with Full HD+ resolutions. The screen to body ratio is also incredibly high with all three devices coming quite close to the 90 percent mark. All three also feature rear-mounted fingerprint sensors. The only major difference comes down the how large the phones are. 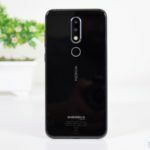 The Nokia 6.1 Plus offers a more modest form factor with its display measuring in at 5.8-inches, while both the other two devices stand tall at 6.3-inches. The Snapdragon 660 SoC powers both the Max Pro M2 and Realme 2 Pro. Meanwhile, the Nokia 6.1 Plus is marginally slower with its Snapdragon 636 chipset. However, the 6.1 Plus is the only phone to offer the update to Android 9.0 Pie at the time this comparison was written. ASUS has promised the update for its device to arrive in January 2019. 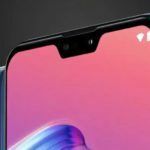 Realme 2 Pro shouldn’t be too far behind, as the company did confirm that the update would arrive sometime in Q1 of 2019. 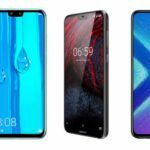 It is worth noting that both the Nokia and ASUS phones offer stock Android, while the Realme handset uses Color OS skin on top. Android purists will be better off with the Zenfone Max Pro M2. If imaging is your primary concern, then you should likely stick with the Nokia 6.1 Plus as it offers a 16MP+5MP rear camera setup paired with a 16MP selfie shooter. The Realme 2 Pro isn’t too far behind with its 16MP+2MP rear cameras, while a 16MP shooter is at the front for selfies. While the Zenfone does boast EIS tech on its rear cameras, it is still just using a 12MP +5MP setup. Also, the front notch does house an LED flash, but a 13MP sensor accompanies it. The battery is one department where the Max Pro M2 runs laps around its competitors, thanks to its massive 5000mAh cell. The Realme 2 Pro offers a respectable 3500mAh cell that can still be sufficient for a full day’s use. Even though the Nokia 6.1 Plus is the only phone here that charges over a USB Type-C port, it lags behind with its measly 3060mAh cell. With all that we have seen above, the base variant of the Asus Zenfone Max Pro M2 offers the most compelling package with incredible value. Even though the in-built storage is lesser than its competition, the dedicated microSD card slot helps tackle the issue. Even the large battery is a great bonus. Photography is the only aspect that could present a challenge. 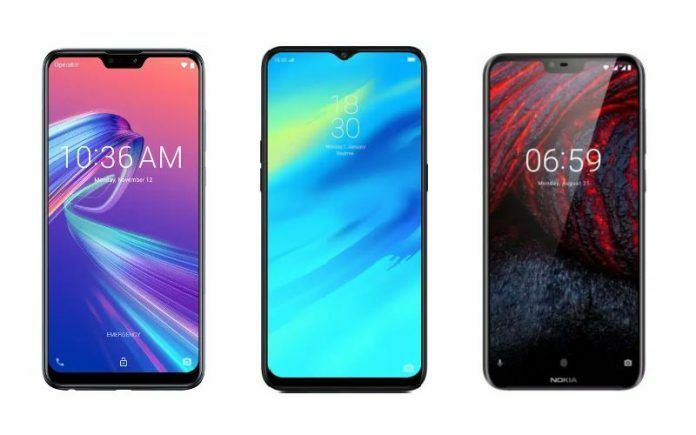 If you are eyeing the 4GB variants of these devices, then the Realme 2 Pro will be the most affordable option. Then again, you will be sacrificing battery life and will have to contend with Realme’s custom UI. As for the Nokia, while it is a good overall package, it is just too overpriced to be recommendable.